American lexicographer and journalist, was born at West Hartford, Connecticut, on the 16th of October 1758. He was descended from John Webster of Hartford, governor of Connecticut in 1656-57, and on his mother's side from Governor William Bradford of Plymouth. He entered Yale in 1774, graduating in 1778. He studied law, and was admitted to the bar at Hartford in 1781. 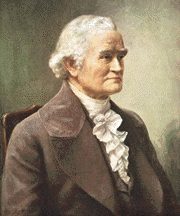 In 1782-83 he taught in a classical school at Goshen, New York, and became convinced of the need of better textbooks of English. In 1783-85 he published at Hartford A Grammatical Institute of the English Language, in three parts, a spelling-book, a grammar and a reader. This was the pioneer American work in its field, and it soon found a place in most of the schools of the United States. During the twenty years in which Webster was preparing his dictionary, his income from the spelling-book, though the royalty was less than a cent a copy, was enough to support his family; and before 1861 the sale reached more than a million copies a year. The wide use of this book contributed greatly to uniformity of pronunciation in the United States, and, with his dictionary, secured the general adoption in the United States of a simpler system of spelling than that current in England. In 1785 he published Sketches of American Policy, in which he argued for a constitutional government whose authority should be vested in Congress. This he regarded as the first distinct proposal for a United States Constitution, and when in 1787 the work of the commissioners was completed at Philadelphia, where Webster was then living as superintendent of an academy, he wrote in behalf of the constitution an Examination of the Leading Principles of the Federal Constitution. In 1788 he started in New York the American Magazine, but it failed at the end of a year, and he resumed the practice of law at Hartford. In 1793, in order to support George Washington's administration, he removed to New York and established a daily paper, the Minerva (afterwards the Commercial Advertiser), and later a semi-weekly paper, the Herald (afterwards the New York Spectator). In 1798 he removed to New Haven. He served in the Connecticut House of Representatives in 1800 and 1802-07, and as a county judge in 1807-11. In 1807 he published A Philosophical and Practical Grammar of the English Language. In 1806 he had brought out A Compendious Dictionary of the English Language, and in 1807 he began work on his dictionary. While engaged on it he removed in 1812 to Amherst, Massachusetts, where he was president of the Board of Trustees of the Academy and assisted in founding Amherst College. He was also a member of the General Court of Massachusetts. In 1822 he returned to New Haven, and the next year he received the degree of LL.D. from Yale. He spent a year (1824-25) abroad, working on his dictionary, in Paris and at the university of Cambridge, where he finished his manuscript. The work came out in 1828 in two volumes. It contained 12,000 words and from 30,000 to 40,000 definitions that had not appeared in any earlier dictionary. An English edition soon followed. In 1840 the second edition, corrected and enlarged, came out, in two volumes. He completed the revision of an appendix a few days before his death, which occurred in New Haven on the 28th of May 1843. The dictionary was revised in 1847 under the editorship of Professor Chauncey A. Goodrich and published in one volume. In 1859 a pictorial edition was issued. In 1864 it was revised mainly under the direction of Professor Noah Porter, and again in 1890 under the same direction, the latter revision appearing with the title of the International Dictionary of the English Language. The latter was again issued in 1900, with a supplement of 25,000 words and phrases, under the supervision of William Torrey Harris, who edited another revision, in 1909, under the title of the New International Dictionary of the English Language. It has frequently been abridged. Among Webster's other works are Dissertations on the English Language (1789), a course of lectures that he had given three years before in some of the chief American cities; Essays (1790); The Revolution in France (1794); A Brief History of Epidemics and Pestilential Diseases (1799), in two vols. ; The Rights of Neutral Nations in Time of War (1802); Historical Notices of the Origin and State of Banking Institutions and Insurance Offices (1802); and A Collection of Papers on Political, Literary, and Moral Subjects (1843), which included "On the Supposed Change in the Temperature of Winter", a treatise showing long and careful research. He also published Governor John Winthrop's Journal in 1790, and wrote a History of the United States, of which a revised edition appeared in 1839. See Memoir of Noah Webster by his son-in-law, Professor Chauncey A. Goodrich, in the quarto editions of the Dictionary, also Noah Webster (1882), by Horace E. Scudder, in "American Men of Letters."